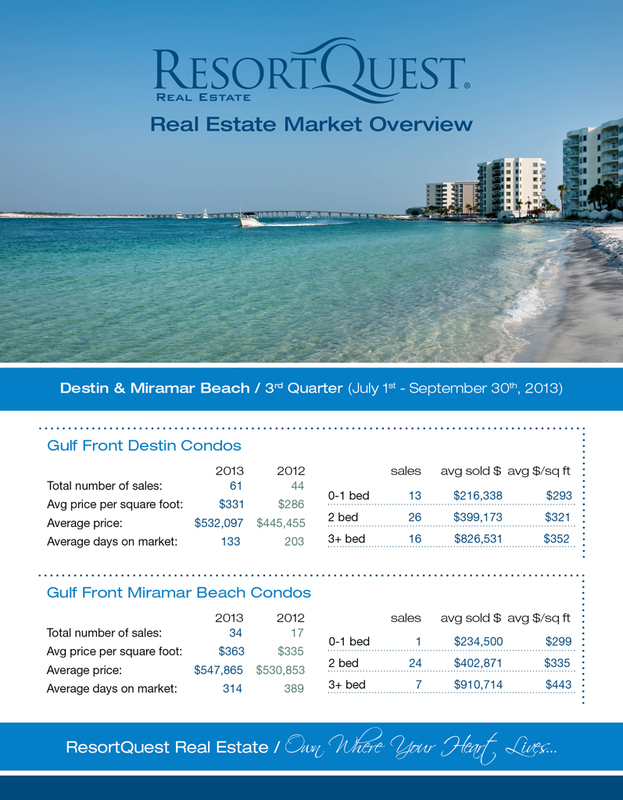 Destin, FL real estate is on an upward swing in the 3rd quarter! 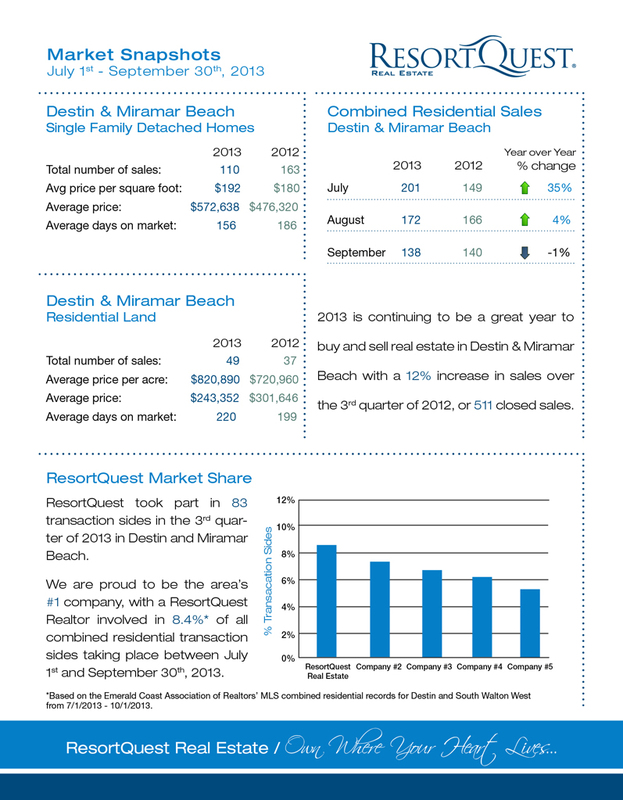 Throughout Destin and Miramar Beach we’re seeing prices increase and sales going up! The same rings true at Tops’l Beach & Racquet Resort, where new listings are often sold within a matter of days and at nearly 100% of the list price – a seller’s dream! Interested in buying or selling a home or condo in the Destin area? Read on to learn more about the state of the current real estate market, and browse current inventory to gain a greater knowledge of what’s available. 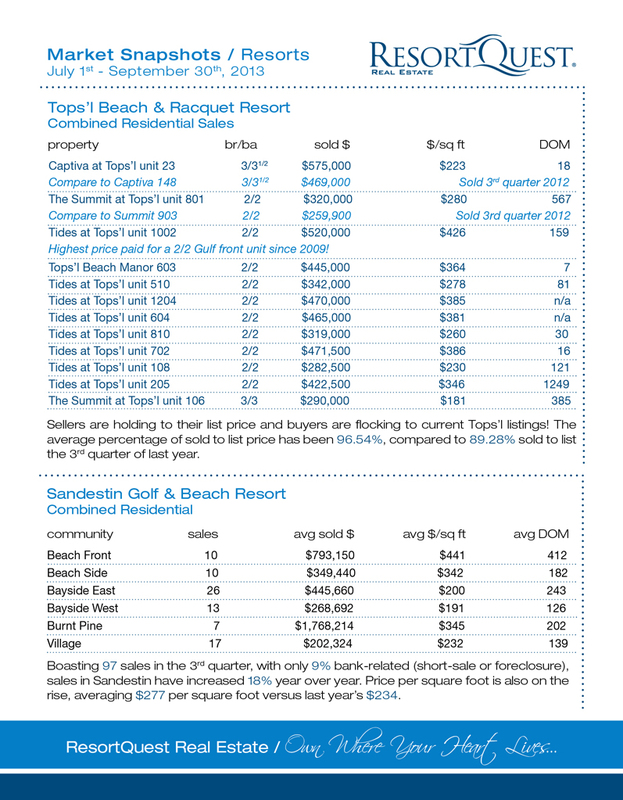 For further convenience, feel free to print or share our Destin, TOPS’L, and Sandestin – 3rd Quarter Market Report. Interested in learning more about Northwest Florida’s Gulf Coast? We have market reports for other hot areas, including 30A and Fort Walton Beach & Navarre!